I hate palm trees in places where snow can fall and last. Here, I hate seeing those annoying little windmill palms in the snow - they ruin the feel of the wintry weather, and they're very hardy so it takes a lot for them to die. Amen to that. I usually don't mind CIDPs, because they only thrive in very mild places, and even Paris' benign winters are slightly too cool for them. I find them attractive too. But that trachycarpus thing... I already find them hideous in summer, but when they stand in a wintry landscape, they're really a ghastly, uncalled for sight imo. They stand here, taunting me. If they could talk, they'd say something in the lines of "Winters here aren't wintry enough to kill us. We'll soon take over. Deal with it. *evil laugh*". Poor things need help... dying. Last edited by Rozenn; 08-27-2013 at 04:49 AM.. Yes, it depends on regional and municipal laws. Much of the Emilia-Romagna region have recent single municipal green spaces regulations that prohibit planting exotic species outside urban areas: any type of firs, cedars, pines, magnolias, palms, cypresses, and the invasive black locust. Many coniferous trees are really out of place in our area (especially Christmas firs, how ugly they are in the landscape! ), even the italian pine. Inside the urban areas more biodiversity is allowed. I agree with that rules because it's a form of respect of the ecological environment and landscape. I find palm trees to be ugly as well. Perhaps us palm-haters should launch a palm tree genocide . Palm trees are pretty. Not ugly. Well, I'll happily commit mass palm genocide here. I won't rest until every last palm is dead, and I will make sure the gardens they are from are burnt so the soil becomes infertile and unable to grow anything. I don't dislike palm trees per se, but do dislike them if they are out of place. 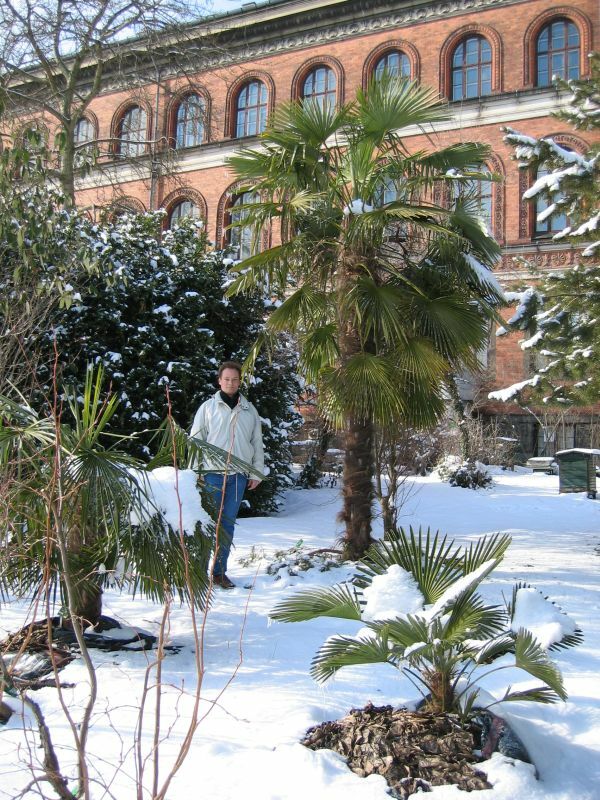 Snow or a cool maritime climate and palm trees don't match, and I don't understand why people insist on planting them in places like Leeds, Brest and Penzance. As I said previously, snow can occur all aver the mediterranean sea in winter. As long as the frost do not last much it is OK for them. The winters can be wee and cool there. I do not think they are out of place there. That also the case in the desertic areas in north Africa were temepratures can go below zero in winter. Those palms are made for that. If there are lots of palms along the Atlantic in Europe it means they match their location. All palms are not "exotic" or "tropical", some species are originating from warm oceanic climates. My hatred to hot weather does not affect how I view palm trees. I agree they are really beautiful. http://upload.wikimedia.org/wikipedi...%28Fiji%29.jpg Sadly, palm trees virtually can't grow in climates which I like.